Registration: 2:00 p.m. - 2:45 p.m.
beautiful songs dedicated to them. Along with your RSVP, please send a picture of your child, with a self addressed return envelope for the slide presentation, and a $5 donation for each child. There is no need to send a picture if your child's picture was included in the 2016 Candlelight Service, however, please send your response card and donation. Please RSVP by November 30, 2018.
for display in the sanctuary . Plan to stay afterwards for refreshments and informal sharing. with Registration and is tax deductible to the extent permitted by the IRS. to all that have suffered the death of a child. For more information email us at bpusastl.candlelight@gmail.com. Please indicate on the back of the photo: There is no need to send a picture if your child was included in last year's Candlelight Service. Send a self addressed stamped envelope so the picture may be returned to you. Send $5 donation for each child. If we do not receive your response and donation, your child’s picture will not appear. Participation in the slide presentation is not mandatory. 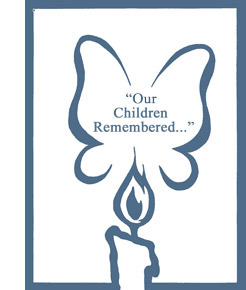 Our organization is founded on the premise that we all grieve differently. It is the goal of BPUSA to make this a memorable event for all.